Income statement summarize past transactions and events. Many users of income statements are interested in the past only to the extent that it can help predict the future. Financial statement users are concerned about earnings sustainability, which refers to the likelihood that earnings will persist in the future. Historical income statements will be less useful for predicting the future if the results of ongoing operations are combined with the effects of events that are unusual or are not expected to recur in the future. Unusual events here are referred to: “Discontinued Operations”, events that produce “Extraordinary Items”, “Income Taxes” and “Earning Per Share [EPS]”. Consequently, GAAP requires that income statements separately report certain items. This post describes these items and shows how they are displayed on the income statement. Enjoy! Lie Dharma Putra Company traditionally had sold to both commercial concerns, such as automotive repair shops, and to retail customers [do-it-yourselfers] via its “autoworks” retail division, which Lie decided to dispose of in 2009 because of poor profitability. 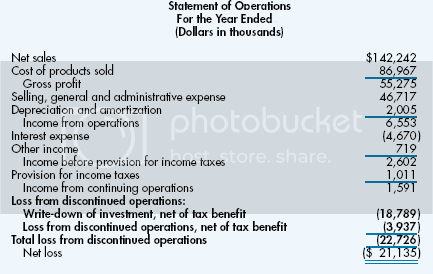 The first 11 lines of Lie’s income statement reflect the results of continuing operations. The discontinued operations section contains two line items; the first line reports the loss from the “Autoworks” division, and the second line indicates the results of operating the segment. In making predictions about future earnings, most analysts would ignore the effects of these items by focusing on income from continuing operations. To qualify for separate reporting, the discontinued operation must represent an entire major line of business. Many divestitures do not qualify as an entire line of business and do not necessitate separate reporting. For example: a Wall Street Journal article stated: “HCA-Hospital Corporation of America, bowing to weakness in the psychiatric hospital industry, said it will sell 22 hospitals and take an after-tax charge of as much as $300 million in the third quarter.” The charge reflects operating losses and anticipated losses on the sale. Because HCA retained ownership of 26 psychiatric hospitals and 73 general hospitals, it did not dispose of an entire line of business. Treatment as a discontinued operation would be inappropriate. The $300 million charge would be included in continuing operations. 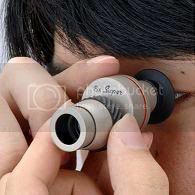 Thus, financial statement readers must be aware that continuing operations might contain revenues, expenses, gains, and losses that will not persist in the future. Some analysts would prefer to remove the $300 million charge from the current quarter’s earnings when making projections about the future. On the other hand, some analysts might view HCA’s sale of hospitals as a normally recurring modification of the firm’s strategy. Because these modifications are expected to occur periodically, these analysts would not remove the $300 million from reported earnings. Ford Motor Company reported a first quarter profit of $904 million. However, that profit included a $440 million loss from the sale of First Nationwide, a financial institution. Because Ford did not dispose of its entire financial services unit, this disposal does not qualify as a discontinued operation, but some analysts might prefer to exclude the disposal loss from Ford’s earnings when making projections about future earnings. Requirement: Eliminate the First Nationwide loss from Ford’s reported net income. Extraordinary items are events and transactions that are unusual in nature and infrequent in occurrence. Unusual in nature implies that the event or transaction is, at most, incidentally related to a firm’s typical operations. Infrequent in occurrence suggests that the item is not expected to recur in the foreseeable future. Extraordinary items usually include natural disasters and actions by foreign governments, such as expropriation of assets. Separate disclosure of extraordinary items enables analysts to make better projections of a firm’s future operations. Below figure shows a partial income statement for a California-based company, American Enterprises, Inc. (AE) and an accompanying note. It shows that AE lost a building in an earthquake, which meets the criterion of being unusual in nature. A question arises as to whether they are expected to recur in the foreseeable future. In California, earthquakes continue to occur with some regularity. This is another accounting situation that requires judgment. Evidently, AE and its auditors feel that earthquakes in their area occur with sufficient irregularity that they are not expected to recur in the foreseeable future. Based on the footnote disclosures, analysts can exercise their own judgment about reported extraordinary items. Note also that AE recognized a gain. A gain arose because the proceeds from the insurance settlement exceeded the carrying value of the building. Recall that buildings are carried in the accounting records at depreciated historical cost, which does not reflect current market values. Given that many income statements have several major sections (continuing operations, discontinued operations, and extraordinary items), a decision must be made about where to report income tax expense. GAAP takes the reasonable position that taxes should be allocated to each major section. Consider again Lie’s Statement of Operation in the first section of this post; one item listed is provision for income taxes. This is not Hahn’s total income tax expense, however. It is the income tax associated with continuing operations. The tax effects associated with discontinued operations are included in the calculation of those reported losses. This format shows discontinued operations net of tax. Note: iscontinued operations generated a loss and that the tax effect is labeled a tax benefit. Losses yield tax benefits because they lower the taxes a firm must pay. Per-share amounts make it easier to relate the dividends, prices, and earnings of a given firm.